If you have already decided that it’s time to take advantage of professional help when it comes to restoring or regrowing your hair, finding the perfect hair loss clinic for your specific situation is going to be of the utmost importance. And because there are so many different clinics out there (all of them in direct competition with one another for your hard-earned money), it’s a bit of a difficult process to try and whittle all of your options down to just one. This is especially true if you don’t have a world of experience in this selection process. At the end of the day though, your choice of the right hair systems clinic is going to quite literally “make or break” whether or not you leave that office after your procedure, happy with new hair that is going to fill in nicely, or a nightmare that cannot be resolved for years and years to come. This isn’t said to scare you, but instead to ensure that you fully appreciate the weight of the decision that you are going to have to make. You’ll be able to use the information below to better inform your decision, but you’re also going to want to make sure that you are doing as much research and due diligence as possible. This is a decision that will impact your life for years to come, will likely cost you several hundred dollars (or several thousand dollars), and could potentially change your life from here on out. Make sure that you’re doing the right thing. Do you really need the help of a professional hair clinic to restore your hair? If you haven’t already concluded that you need the help of the best hair loss clinics in your local area to help you restore and regrow your hair, you’ve probably been toying with the idea of pursuing over the counter or prescription level “do it yourself” hair regrowth solutions. 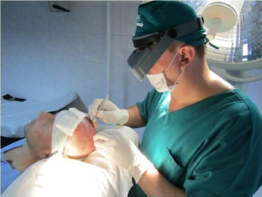 And while there have been some pretty incredible success stories published on the Internet from people that have taken advantage of products like Rogaine, Minoxidil, Propecia, and several other hair restoration solutions, most people would agree that a surgical solution – in a top-of-the-line and fully appointed clinic, no less – stands a far better chance of providing you with the results you’ve always wanted. That’s not a knock against some of the better nonsurgical solutions out there, but instead the plain old truth. Surgery can (and does) give you nearly instant results, as well as much more consistent results that you can reliably predict. But you likely already know that, which is why the rest of this quick guide will focus on finding the hair clinic that is perfect for you! Once you know that you want to take advantage of modern technology and the professional help that an expert hair restoration surgeon can provide, you’ll want to choose the right clinic to perform the procedure so that you can get started regrowing your hair right away. Not all hair restoration services are created equally, however, and some are (just by their very nature) going to be considerably better than others. You’ll need to make sure that you are in the very best of hands, or you run the risk of complications and risks that could cause you a world of hassle and headache later down the line. Pay attention to these critical details, and you shouldn’t have all that much to worry about. The very first thing that you are going to want to look for in a specific clinic is that it has already established itself in your local community. This is not to say that brand-new clinics aren’t to be trusted or that you should be wary of any clinic or professional that has into “paid his dues”, but there’s a certain amount of safety and security (not to mention confidence) that you’ll get when you work with a clinic that has been around the block a time or two. Five years is enough time for you to know that they are the “real deal”, as (according to the Small Business Association) most businesses that make it to the five-year mark are going to be around for some time. You’ll know that they are doing something right, treating their clients well, and performing services that get the job done – or they would have been driven out of business in this very competitive marketplace. You can tell a lot about a hair restoration professional by the type of office that they keep. Clean, brightly lit, friendly clinics are going to give off a specific “personality” – one that reflects favorably on the professional that runs the office. Usually these offices belong to experts that pay attention to detail, are serious about providing high-level client services, and understand the value of maintaining their professional image. Dim, messy, and unpleasant offices give off the exact opposite impression. Even if you are committed to working with a single hair restoration expert and only that hair restoration expert, it’s a good idea to know that there are enough doctors or professionals in the office to handle the workload efficiently. The last thing that you’ll want to do is connect with a hair restoration professional that is overloaded with work, overtaxed, and overstressed – there’s just no way that they’ll be able to provide you with the very best results if they aren’t in tip top shape mentally as well as physically. 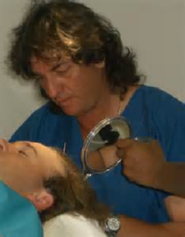 Verifiable credentials are a real key to working with a hair restoration service that you can trust. Unfortunately, most people that are looking to have a bit of hair restoration work done take any and all credentials provided to them at face value, never verifying that they are 100% real, 100% authentic, and at the very least 100% up to date. This probably isn’t that big of a deal when you are working with professionals that you know you can trust, but it never hurts to make sure that everything is above board before you create a working relationship with someone. Even the most accomplished and professional hair restoration expert is going to rely on the help of their support staff along the way, so you’ll need to make sure that you are working with a real team of experts and not just a single superstar. This can be verified by asking questions of the support staff and then researching their answers, or just paying attention to how well the team appears to work together – especially if things in the office are hectic or a little bit stressful. It’s going to be considerably cheaper for you to choose a clinic based on a price that is associated with each hair that you have transplanted as opposed to per graft or per follicle – and it’s critical that you understand the difference. Make sure that your hair restoration expert breaks down the overall cost of your regrowth project or your transplant so that you understand exactly what you are going to pay when it comes to time to make do on your payment. This is not an area that you can afford any confusion. Another critical detail that you’ll want to focus on before you choose one clinic over another is whether or not you’ll be able to schedule an in person consultation with a hair restoration expert before you have to “sign-up” for a particular service. Some offices are more accommodating than others when it comes to a consultation, but most professionals will offer you a 100% free hour-long session where you’ll be able to be seen by an expert, receive a professional diagnosis, and have all of your questions answered – even if you decide not to take advantage of their services moving forward. This is an invaluable piece of the puzzle that you’ll want to make sure you have taken care of, especially if you find yourself to be worried or anxious at all about the actual process itself. These kind of consultations have a tendency to relax people considerably, mostly because they finally get honest answers to each and every one of the questions that have been bothering them. Finally, you’ll want to make sure that the clinic you decide to move forward with is just as serious about the follow-up process you’ll need to move through as the actual services that they render. Hair restoration is not just a “one-time event”, but instead, a series of steps and processes that you’ll have to move through over a number of months. You’ll want to be sure that the clinic you decide to move forward with has a concrete plan of action in place to help you heal immediately after the surgery, as well as a plan to really maximize your hair restoration results.